I did my undergraduate training in London (UCL), worked for 5 years in New Zealand (Palmerston North and Hamilton) and moved to South Africa in 1994. I joined the department of surgery and trained as a general surgeon at University of Stellenbosch and specialised in breast and endocrine surgery. In 2000, I started in full time private practice as a surgeon at Christiaan Barnard Memorial Hospital where I focused on the management of breast complaints. Over the 17 years I worked there, the breast services expanded. I was joined by Sr Lieske Wegelin in 2013 and Dr Britta Dedekind in 2016. In 2017, the new Christiaan Barnard Memorial hospital opened an oncology unit. In 2018, I left full time private practice to return to the surgical department at University of Stellenbosch as head of the breast and endocrine unit. I now have a limited private practice at Christiaan Barnard Memorial Hospital and Dr Dedekind sees the majority of people with breast complaints. I am still involved in the multidisciplinary meetings. I am the founder and director of the Breast Course for Nurses and am the co-author of the book "Breast Care"which is part of the Bettercare series of books and forms the core content of the course. 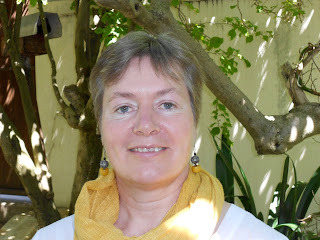 I live in Cape Town with my husband Tony and have 2 sons at University of Stellenbosch. Sr Lieske continues to work in the practice and can be contacted on 0214265335 or lieskewegelin@gmail.com. Should you wish to contact Dr Dedekind for an appointment, please go to https://www.brittadedekind.com.